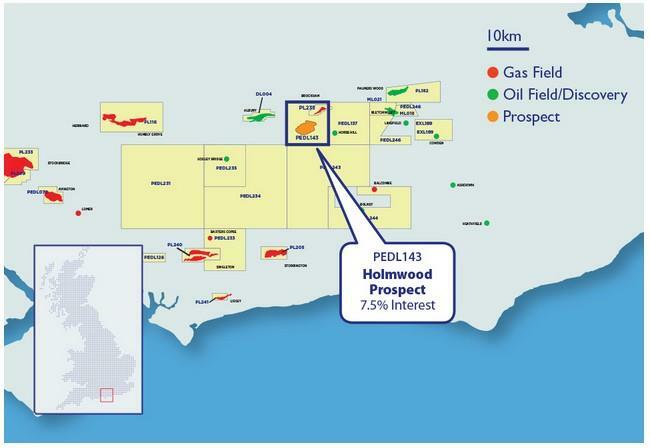 AIM-listed Union Jack Oil, a UK focused on-shore hydrocarbon production, development and exploration company has announced that it has conditionally agreed to sell its 7.5% interest in PEDL143 to UK Oil & Gas ('UKOG'). The sale is subject to the execution of a sale and purchase agreement the principal terms of which have been agreed, and the subsequent approval by the Oil and Gas Authority. The aggregate purchase price by UKOG for the Licence Interest is £112,500 and will be settled in cash that shall then be immediately, simultaneously and irrevocably applied by Union Jack for such number of ordinary shares in UKOG which is equal to £112,500 divided by 1.156 pence, being the 5 day volume weighted average price on 12 April 2019. A further announcement will be made on completion. 'Union Jack's strategy is to focus on what we consider to be near term drilling and production opportunities in the UK. 'Our modest investment in Holmwood was made with a view to capitalising on the increasing activity within the Weald Basin. 'This agreement allows Union Jack to now concentrate totally on our focused areas of the East Midlands, Humber Basin and East Yorkshire. Our focused areas hold working interests in material and potentially company-changing assets including: 16.665% in West Newton, where drilling is set to commence in the very near future; 27.5% of Wressle that contains a discovery awaiting planning permission for development; and 22% of Biscathorpe that requires seismic reprocessing to provide information following recent drilling and for a potential side-track well in due course. In addition, Union Jack's 20% working interests in the producing Keddington and Fiskerton Airfield oil fields provide us with oil revenues and exposure to additional workover and drill targets in our focused areas.